Dealing with issues in underground pipes doesn't have to be a big problem, as long as you have a professional to take care of video pipe inspection in Austin. You may already be familiar with this process; it utilizes video to inspect the interior of your pipes. This is especially beneficial in places that are difficult to access, such as underground. 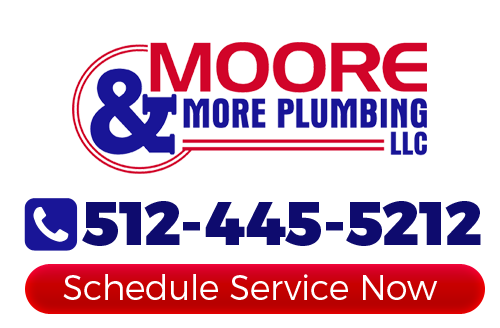 Moore & More Plumbing has been a household name in the area for 30 years now. Over that course of time, we have certainly seen great changes in the plumbing industry, including the techniques used to see in places that are more challenging. Being able to utilize this system helps us offer you the best in expert plumbing services in Austin and move forward with the necessary repairs. The last thing that you want to do is try to resolve your plumbing issues through trial and error. Which is what happens when you or a not-so professional plumber tries to solve a problem without seeing what is going on. The ultimate goal of using this type of miniature camera to see inside pipes if to locate leaks or other issues without tearing into walls or going underground. In fact, professionals can usually even gauge problems like buildup of residue that can lead to slow moving water through pipes. This system also helps professional Austin plumbers make precise pipe repairs, replacement or relining work. Jobs that once took days now can be completed in a matter of hours. This has also made it possible to inspect and repair your system without the need to tear apart the walls or landscaping of your home. This has made the job less destructive, less time consuming and more affordable. 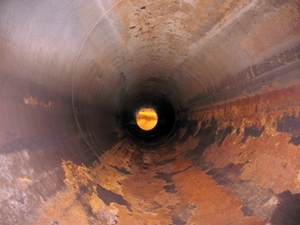 To find out more about our video pipe inspection services, all you have to do is give us a call. Each of the employees at Moore & More Plumbing is highly educated and trained on the latest techniques, including this one. We will review with you the details of the service we provide, as well as the repairs that may follow as a result. Don't keep putting off getting this important work done for your residential or commercial plumbing. If you would like to schedule video pipe inspection in Austin or the surrounding areas, please call 512-445-5212 or complete our online request form.